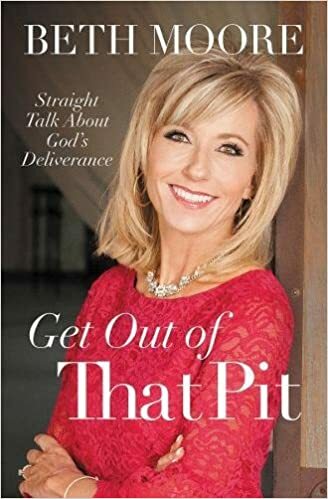 In Get Out of that Pit, Beth Moore has re-released a new version of one of her most popular books. The book starts out by looking at life inside the pit and how we don’t know how we will ever stand again and how we have lost our vision. She reminded readers about Psalm 40:2 and how this verse stated that Christ will set our feet on a rock and give us a strong foundation to stand on. This book discussed how some of us are thrown into the pit, jump into the pit, and slip into the pit. She shared about she was thrown in a pit when she was molested as a child. She shared about how her breakthrough came when she understood forgiveness and the power behind the concept. Throughout the book, she explored the story of Joseph and how he was thrown into his pit. She also revealed three steps on how to get out of your pit. The book also included the story of her husband, Keith. When Keith was two and a half years old, he was caught in an explosion in his father’s garage. He witnessed his own four year old brother burn to death. He struggled with thoughts about wishing it had been him instead. The book included real stories from people about how they arrived in their pit and this will help readers to connect with other people’s stories. I would recommend this amazing book to anyone who is ready for a change and they are wanting guidance on how to come out of their pits. A pit can be a death of a loved one, relationship abuse, mental illness, alcoholism, divorce, job lost, rejection, and much more. This book will assist you in discovering the ways in how you can climb out of your pit. It will help you to realize that deliverance is possible and you can be free again. This book also contained prayers that people can pray to assist them in seeking God’s face and guidance in coming out of their pits. The prayers were written in the format of the three steps of coming out of their pits. I also like how she included a helpful discovery guide section that enclosed reflective questions and personal application questions where readers can dig deeper in their quest to get out of their pits. 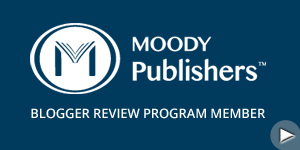 "I received this book free from the publisher through the Handlebar Marketing book review bloggers program." In The Comeback, Louie Giglio explored how to have a comeback from setbacks from life. We have all fallen down and faced hardships and encountered disappointments. In this book, he walks readers how God still has great plans for our lives and we can have a comeback! Throughout the book, he shared stories from his life, other people lives, and Biblical stories. Some of the stories included: Noah, Moses, Joseph, Jesus, Peter, and much more. One of Louie Giglio’s stories was about a Passion conference in 2003. There was a massive storm and the venue was outside. They prayed that that the rain and storm would stop. It continued while they prayed and the storm didn’t stop until 5 p.m. the day of the conference. They still had twenty-three thousand people show up to worship God. A couple thousands of people didn’t even of making the event and they ended up running short of their financial goal – a hundred thousand dollars short. The following Saturday, they attended a wedding and some guy collected money around the room and they were able to make up the money exactly. They also suffered another fall and they needed another seventy-five thousand dollars to make their operating expenses. A friend from another city randomly called him and found a check that was supposed to arrive three weeks ago and it just resurfaced. It amazing covered the whole amount! Their prayers were answered! I would recommend this life changing book to anyone who is looking for a comeback and they are ready to live again. This book is for people who have faced a dead marriage and relationship, suffering financially hardship, overworked and underpaid at your job, unhappy with how your life is going, and struggling with an addiction. You can have a comeback story from whatever life has thrown you. I especially love how real Louie Giglio was in looking at Lazarus story and how we all wonder the question as to why did God make him sick in the first place. And the answer scriptures tells us in John 11:4 that it is for His glory. Louie reminded us that Lazarus still eventually died and the greatest comeback of our lives will be when we are raised up with Christ and Christ’s power freed us from death and our sins. This is an amazing book about finding the strength and relying on God and being ready for the greatest comeback that Jesus wants to give you! "I received this book free from the publisher through the BookLook Bloggers book review bloggers program." 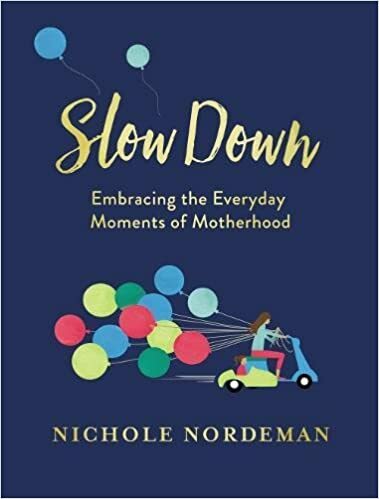 Nichole Nordeman is back with a brand new book, “Slow Down” filled with colorful photos and CD, “Every Mile Mattered”. The book begins with explaining how she got the idea for the hit song, “Slow Down”. The song describes what every parent goes through and how we all wish that the time would slow down between every passing stage our children go through. Nichole Nordeman is a mother of two children, Charlie and Pepper. Throughout the book, she shared countless stories of what she learned along the way about parenting. She went into detail about the challenges she encountered when she became a new mom to her son, Charlie. He had a condition called gastroesophageal reflux and he had trouble keeping food down the first eighteen months. He was constantly crying, hungry, and he only slept three or four hours. She revealed how this difficult time birthed her hit song, “Brave”. The book also contained stories from Natalie Grant, Amy Grant, Sara Groves, Jen Hatmaker, Patsy Clairmont, and much more. Later in the book, she shared about the decision to walk away from her music career at the height of it and how she has returned after ten years. She shared about how she told her fans it was because of her wanting to be a stay at home mother. In this book, she revealed it was because her marriage was failing and she was trying to save it. This book will offer encouragement to parents and they will realize that they aren’t alone. They will be reminded the significant of slowing down and not rushing through life. Every Mile Mattered CD features 11 songs. The album begin with the title track and it discussed how we all have many miles, bridges burned, wrong turns, and shed tears. The song coveys how they are all important and every mile mattered. “Dear Me” is another song that fans will connect with. This one was written as a letter to yourself and how we are guilty of not following Jesus 100%. This one talked about really being Jesus to people who are in need and who are hurting. This is a very moving song with emotional lyrics. One of my favorite songs was, “No Longer”. This one had an upbeat tempo and it describe Jericho, the Red Sea, five stones and how we all struggle with living our lives. The song is a declaration about living with your heart on fire and not letting fear to control our lives. We no longer have to with a safety net, we can be stronger and freer. Another one of my favorites is, “Listen to Your Life”. This one describes all the voices we hear every day and how they all compete for our attention. We all at times are worried about who has the floor to speak and who holds the bullhorn. At other times we are all wondering who is going to steer. 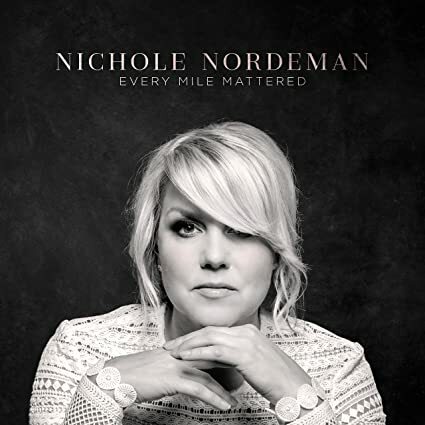 Nichole Nordeman reminds listeners to listen to your life and listen to God and His small voice and letting His Spirit flow through you. I also love the song, “Sound of Surviving”. This one talked about how we let fear control us where we won’t share our stories. Many of our stories are often filled with bullet holes and they aren’t always beautiful. This song is an anthem for reminding ourselves that we are still here, we are surviving, and we’re not done fighting. This album also contained a new version of, “Slow Down” which features her daughter, Pepper singing the lyrics alongside her mother. This version is a very personal reminder of all the different stages, we hopefully will see our children grow up in. Thanks to Capitol Christian Music Group for the book and CD to review.